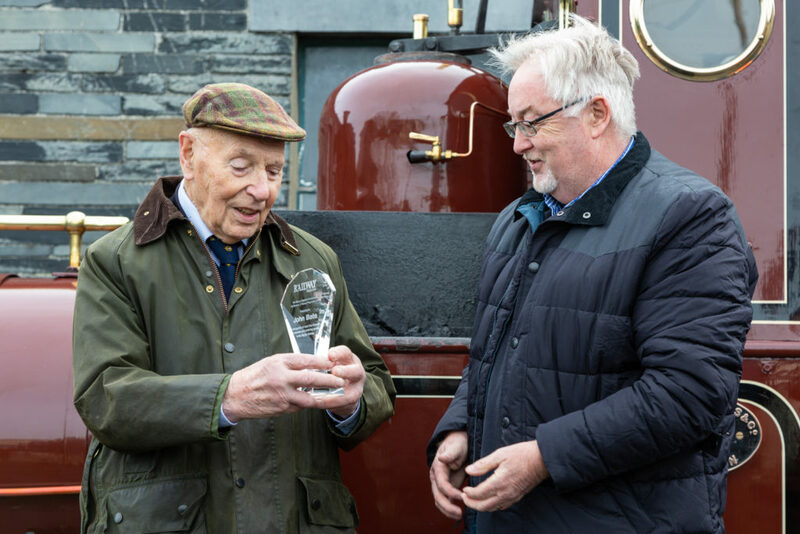 The Talyllyn Railway’s former Chief Engineer, John Bate, was honoured in the recent Heritage Railway Association awards ceremony when he was given the ‘Railway Magazine Annual Award for Services to Railway Preservation’. John Bate (left) is presented with the ‘Railway Magazine Annual Award for Services to Railway Preservation’ by the editor of Railway Magazine, Chris Milner (right), at the ceremony. Credit: Barbara Fuller. John volunteered during the first running season of the Talyllyn Railway when it was saved from closure by the Talyllyn Railway Preservation Society in 1951, becoming the World’s First Preserved railway, giving up some of his summer holiday to help with tracklaying. That started an involvement with the line which has continued ever since. John moved to Tywyn to become the Railway’s Chief Engineer in 1963, remaining in post until his retirement in 1994, but since then he has continued to offer his expertise and experience as a volunteer. Thus he is probably the World’s longest serving heritage railway volunteer. 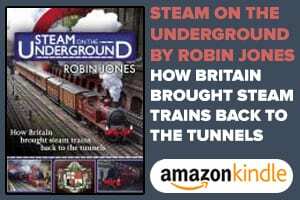 Among John’s achievements during his time on the Railway was the repair and reinstatement of the line following a major landslip in 1955 which threatened the Railway’s future. He was also heavily involved in the extension of the Railway’s passenger services on the former mineral line between Abergynolwyn and Nant Gwernol. As well as overseeing the major overhauls of the Railway’s locomotives, he also designed a new locomotive for the Railway, No.7 ‘Tom Rolt’, which entered service in 1991. In addition other heritage railways have sought his advice over the years, including one in Australia. Even today as he approaches his tenth decade John’s knowledge and precise memory of many details amazes many. 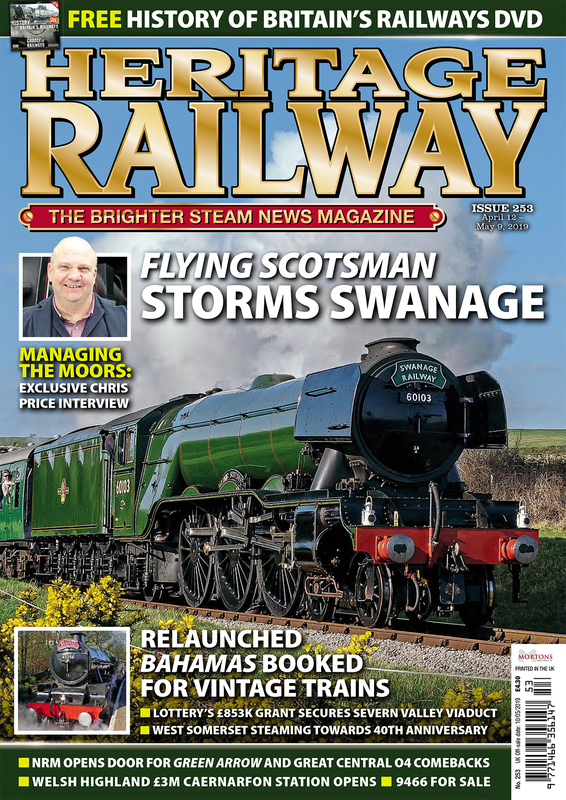 Sadly John was not able to attend the awards ceremony in Birmingham, but instead a special ceremony took place on the Railway with the Railway Magazine’s editor, Chris Milner, coming down to Tywyn to make the presentation in person. At the awards dinner in Birmingham, where the Railway had also been nominated for an award as Best Visitor Attraction, a strong contingent of Talyllyn Railway staff and volunteers, including past and present members of the engineering department, witnessed a special visual montage of John’s contribution to the Railway. Talyllyn Railway Preservation Society Chairman, Ian Drummond, comments: ‘John is probably one of the unsung heroes of the Heritage Railway movement. His knowledge and expertise has been invaluable to the Railway through the years. 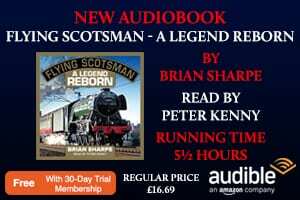 In particular his ability to keep the Railway running on very limited financial resources during the early years have enabled it to become the world renowned Railway it is today. 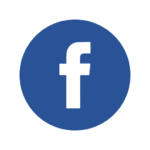 Many have learnt from John and his enthusiasm has encouraged numerous volunteers to pursue engineering careers. This award is richly deserved for all he has contributed to the Railway and the Heritage Railway sector has a whole and we have been very fortunate to have had his services’.